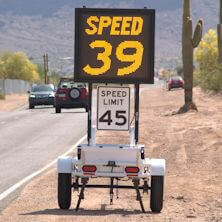 RU2 Systems offers a low end Photo Radar system that will capture pictures of license plates of speeding vehicles. The pictures are time and date stamped with the offending speed on the picture. 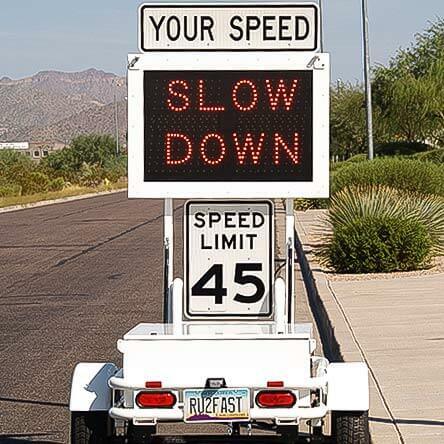 The RU2 E.T.P.R “Event Triggered Photo Radar” traffic data collection system is affordable, enabling smaller organization such as HOAs, college and corporate campuses, and military bases, etc. 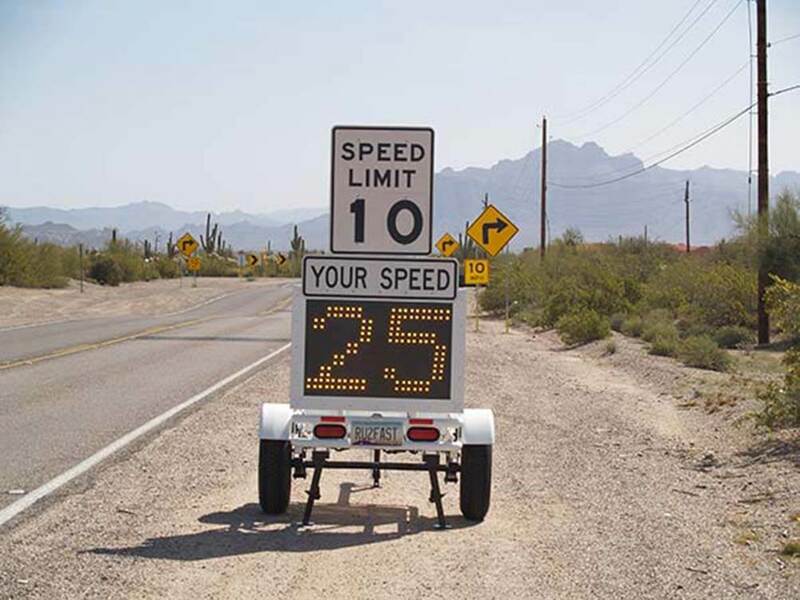 to notify the motorist of excessive speed and to reinforce safe driving practices. 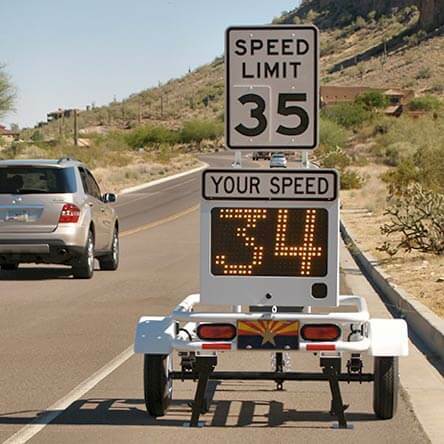 The systems are typically mounted in one of our speed radar detectors which also helps with traffic calming. The RU2 E.T.P.R. system is easy to use and little or no setup is required. 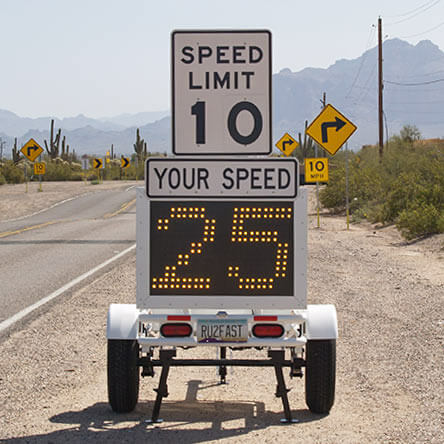 Once the radar trailer is deployed simply turn on the speed sign and check the touch screen for vehicles coming into view and that the desired violator speed is set. 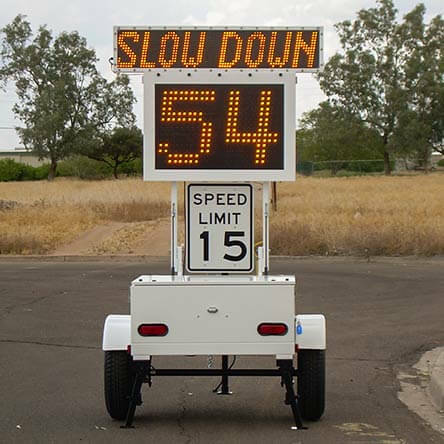 Vehicles over the violator speed will be photographed and the picture saved in the computer in a TIF format that can be displayed with most graphic software. Even Microsoft Paint.